A narrow causeway divides saline reservoirs. The saltwater is subject to solar evaporation and in result salt is obtained. A walk on the top of lumpy salt feels like a stroll on the icing of a giant cake. I reach the bay, where enjoying the view of the island Ilha de Tavira I prepare a hearty breakfast, brew coffee and I peer at fishing boats passing by. Tavira is situated on the River Gilão colorful and peaceful city. Bars and restaurants, each being unique and special give the city sluggish pace of life. 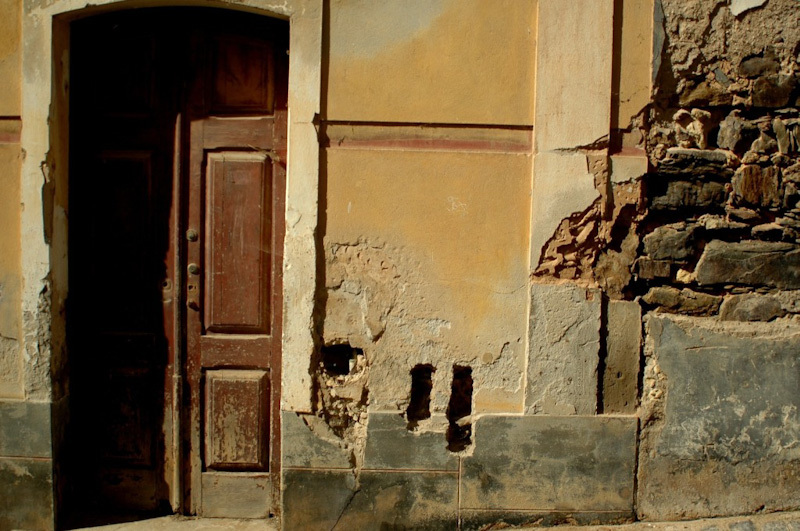 Pastel color facades only seem to be at odds with the cracked walls and dimmed tiles. Actually it is a perfect match. Passing the bridge, I see two men wading with verve in the low river searching for crabs. On a shaded bench under an olive tree a group of elderly residents sit. Dressed in hats, sleeve shirts and long pants they keep on talking unimportant matter, patiently waiting for the end of siesta. 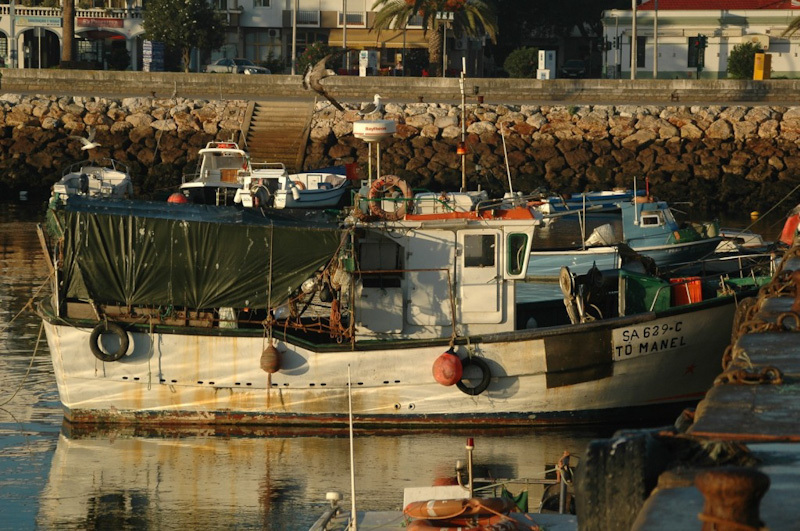 The harbor of Olhão is filled with heavily corroded fishing boats. Among them there are some even older, however restored with a thick layer of paint. "Is it possible to join your crew for fishing?" – I ask one of the fishermen. "The fishing for today is finished" – he replies. I look around to see the remaining fishermen organizing and cleaning their fishing nets. Some others take the fish out of crates and remove the excess water from the deck using buckets. The less hard-working ones and those who have already finished today’s duties sit on hard, hand-made stools. They smoke strong cigarettes, shout at each other and sipping local beer Sagers play cards on a flipped-over plastic box. That is what a siesta looks like here. Vale Centeanes rocky coastline is a perfect place to swim in the refreshing cool ocean. Rocks near the shore rise high above the sea level. Waves created here interesting rock formations and grottoes with a sandy ground accessible only from the water. The rock monolith consists of thousands of medium-sized shells connected together with a natural sandy mortar. This creates quite an interesting mosaic. A broad strip of golden sand surrounded by rocks creates a romantic enclave. Incidentally, I find yet another scenic spot on the beach in Lagos Camilo. If you climb down the cliff and swim for some time between the rocks you would reach the remote beach with no land access. This is an oasis of peace. Lagos is another full of atmosphere town on my way. There is a small fishing port. Fish are unloaded straight from the boat and put into crates. After initial sorting the goods go directly to the fish market. Giant crabs, huge lobsters and weighing one-fourth quintal tuna are subject to wholesale trade. Merchants, vendors at the market stalls and restaurant owners come here to pick their best choices. Camões. A concert of a French troupe has just started. Listening to their songs I realize it is a couple whose life is a constant journey. Sipping a semidry strengthened Port wine I look at the performance of a magician who is juggling with clubs on fire while riding his monocycle. Just nearby a crazy cowboy is trying to attract audience attention riding a horse backwards in a standing position. 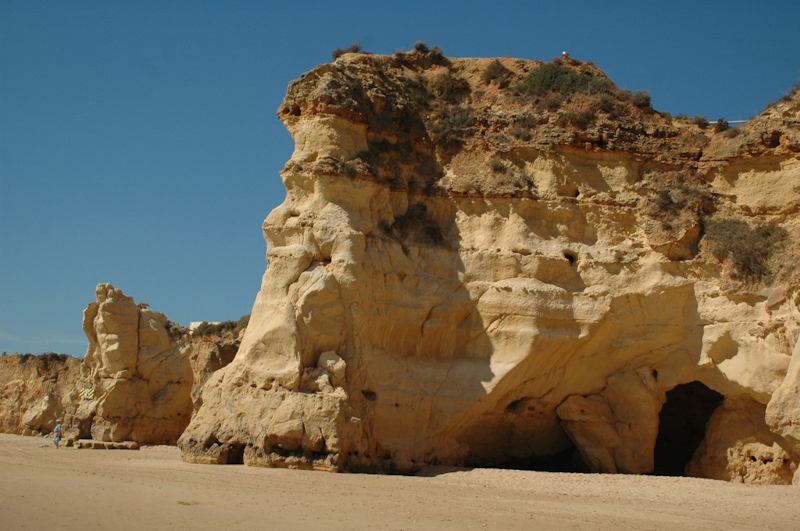 Sagres is a small town famous for discoveries in the Atlantic navigation. I reach Cabo de Sao Vicente, the continental Europe’s most south-western point. Exactly at seven in the evening I watch the truly moving phenomenon of sun sinking in the endless waters of the Atlantic Ocean. The place, called by the ancient Romans Promontorium Sacrum, over the centuries had been considered the end of the world. 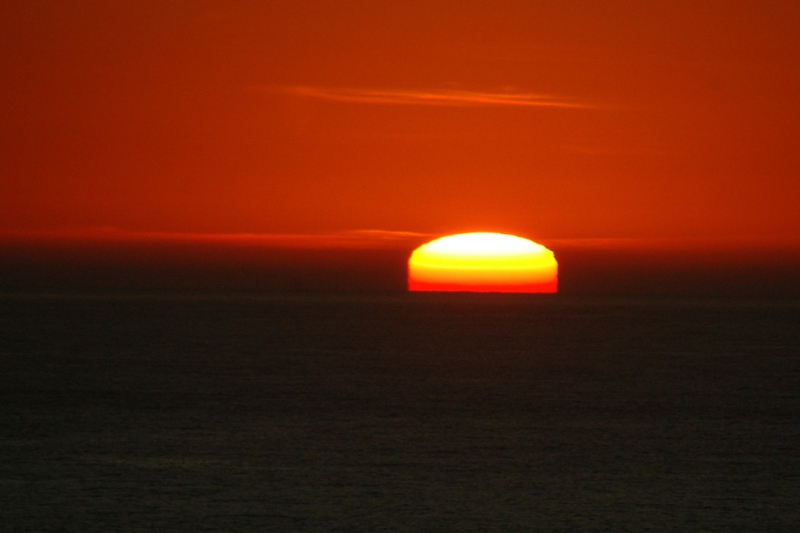 It had been believed that the enormously big sun setting causes the waters of the ocean to boil. I look around to find spots for surfing on my longboard. The surf spots Bordeira and Carrapateira appeal to me most. As long as during the daytime the places are visited by a number of surfers, during the night they become completely desolate. The thought of not a living soul within a radius of several kilometers adds magic to moments spent here. The lights of civilization definitely do not reach this place, so still before the moon rising you can see thousands of stars, colorful nebulae and even glowing planets of the solar system. In the morning I’m going to be the first one surfing on the long, slowly breaking waves. Aljezur is a small town with a typical rural architecture of the Algarve. Sills and windows have colorful border around, while the façades remain unanimously white. The city is divided into modern and historic part by a still (and therefore filled with green algae) river. The tenth century castle is situated on a hill. At this point I admire a panoramic view of the white buildings of Aljezur, surrounding green pastures, forests, olive groves and farms. I go with my friend to a fish market. 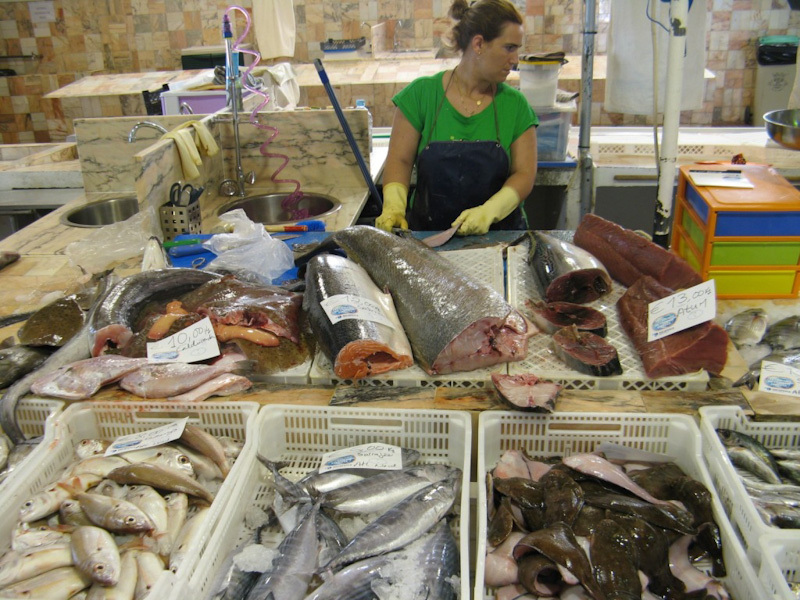 We buy some doradas, sardines, also fish resembling small rays, as well as squid. The other necessary ingredients we get at a roadside shop. We transfer to Amado beach. I gut the fish, wrap it together with spices, garlic and onion in a foil and a moment later put on a red-hot grill. The squid is not that easy, as all our equipments are already stained in black ink, however the situation comes back under control soon. The following days pass surfing on the waves of spots Amoreira, Monte Clérigo, Arrifana, Belixe, Tonel, Bordeíra, Amado and Cordorama. 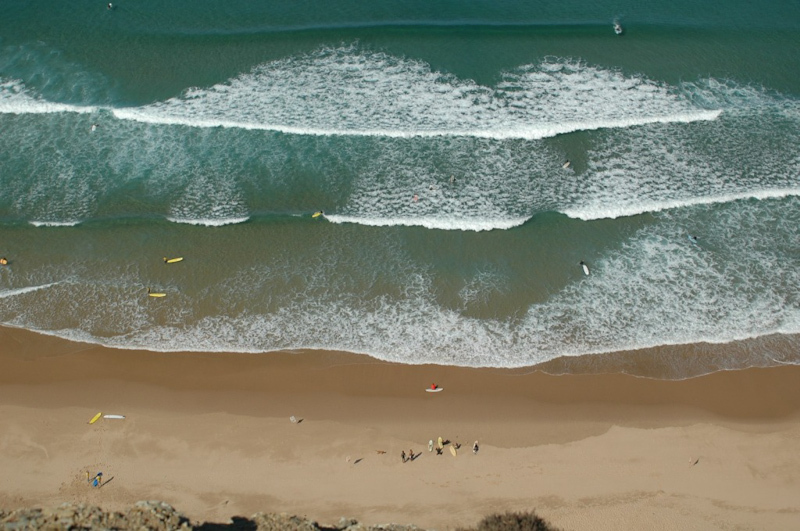 Latter has an amazing viewpoint on a vast beach-break spot with a long, low frequency waves. The thermal winds make paragliding a popular sport here. 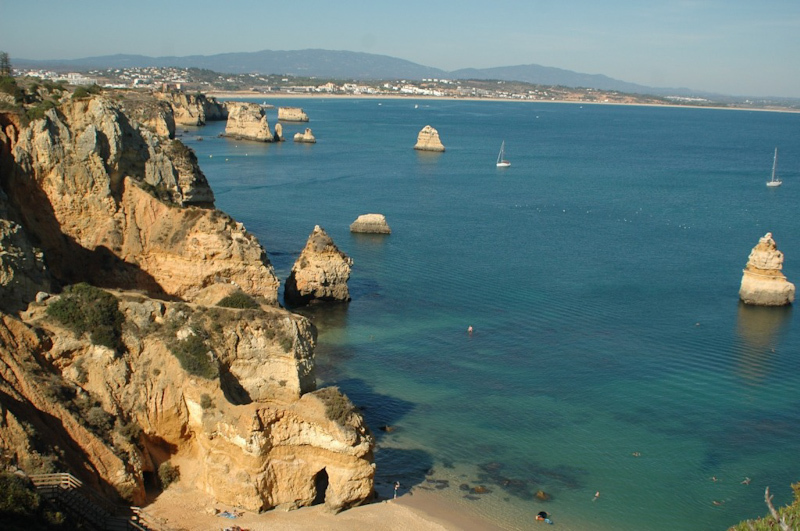 All beaches in the Algarve to the west of Lagos, have one thing in common: they are wild and definitely far from resembling any sort of tourist resort. 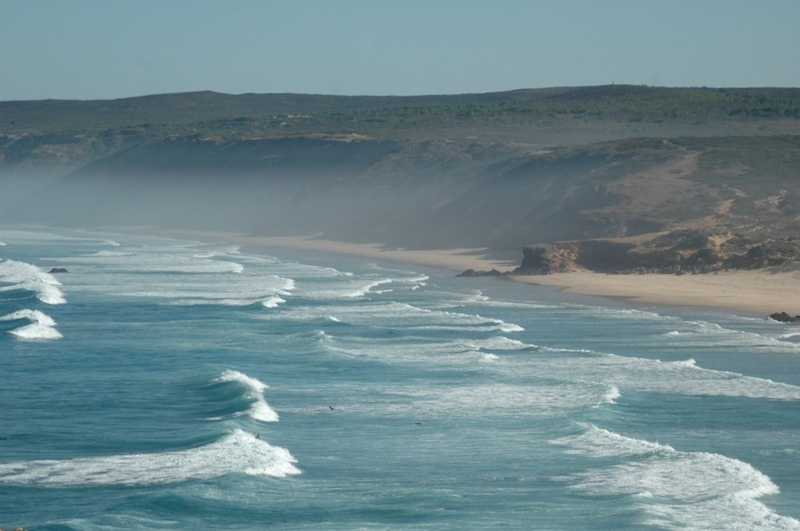 Only surfing, Portuguese cuisine, beating down sun, refreshing water of the ocean and beautiful sunsets. I calculate that the low tide at the beach Amado should start around noon. At that time numerous mussles colonies would become accessible for practiced pickers. We reach the end of a sandy beach and here begins the long walk on slippery rocks. Some of them are covered with corals which have antislippery properties. The water splashing against the rocky coastline provides refreshing mist. In less than an hour our bags are full. We finish collecting the mussels, which served in tomato sauce with a good bottle of wine will make a good dinner. Time. It is said to be priceless. People are often going crazy about the time. Why is it a minute hand to decide, whether we are already late? Sometimes soft, but a more precise description is enough. During high tide, at dawn, before the sunset, after the set of waves or when the sun comes out from behind the clouds. Portugal means a life in harmony with nature, using solar time, with daytime havng little importance. From this oblivion, it was several days later until I realized the change of daylight saving time.